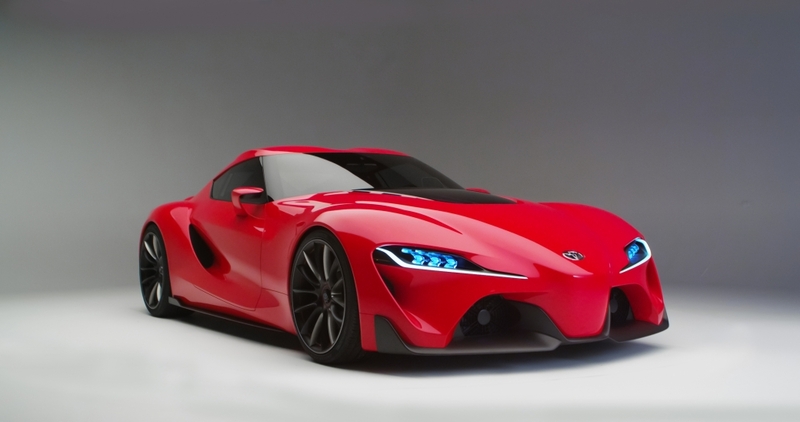 Toyota for me has never really been a car company that I have a massive interest in. Yes, the Supra was a nice-looking car, and yes it was quick, but it was never a car that I ever really had the need or urge to go and drive. Then, there was the Toyota Celica…. All I am going to say on that is … YUK! The Toyota GT86 was the car that annoyed me the most in 2012. The GT86 was at Goodwood Festival Of Speed and its all I could hear and see for the two days I was there. By the end of the weekend, I had enough of it and even now when I see one on the road it makes me shiver. To think I spent a whole weekend forced to look at the Toyota GT86 while slightly over-weight middle-aged men dreamed about reliving their youth in a “cool” car. Nope the GT86 is a car that I would happily not see ever again. 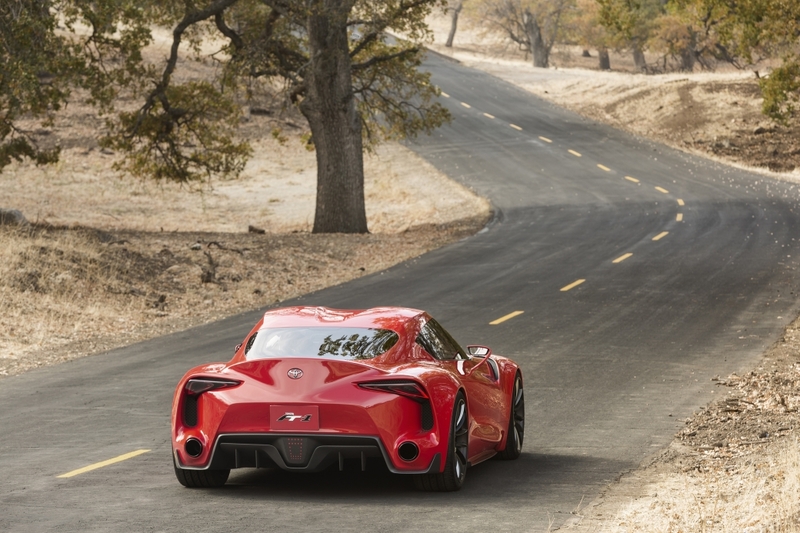 But then I spot the Toyota FT-1… Hmmm now this is an interesting concept car, and it was uncovered at the Detroit Motor should last week along with the new Porsche 911 Targa. 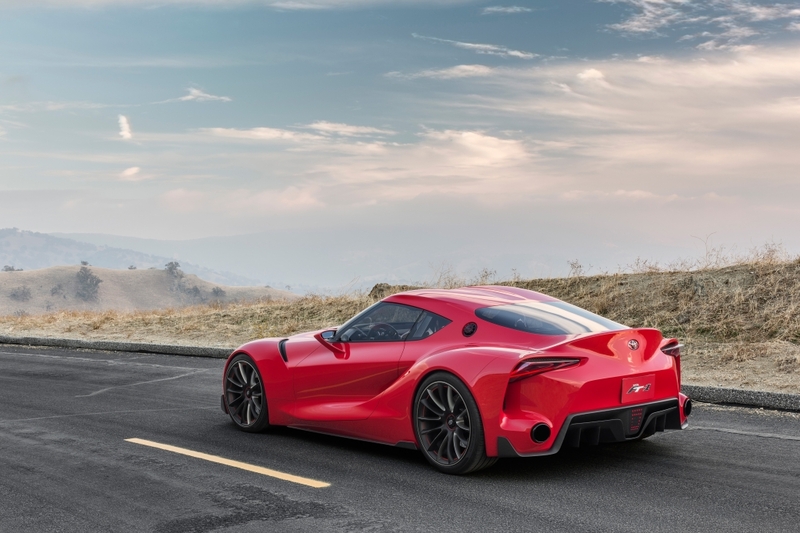 As the week has passed I am seeing more and more people talk about the Toyota FT-1, and I have to say it is growing on me, and I have to say this is a car I am going to be quite excited to get behind the wheel of. 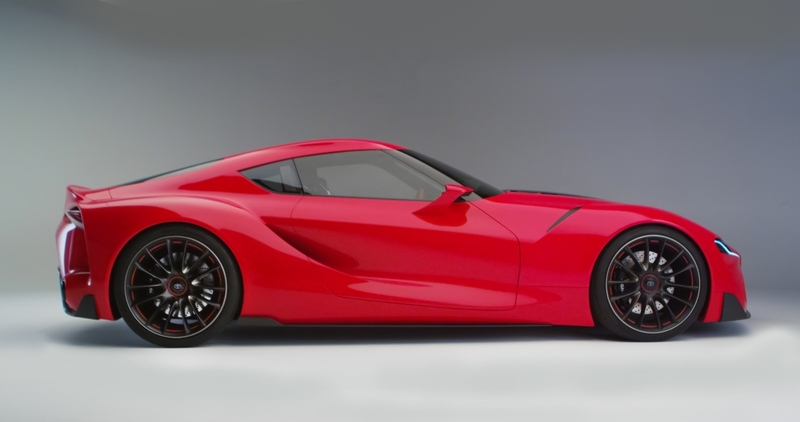 The Toyota FT-1 is a stunning looking car that looks exceptionally modern (not surprising for a concept car), but it looks like you could launch it today, and it would not look ridiculous. 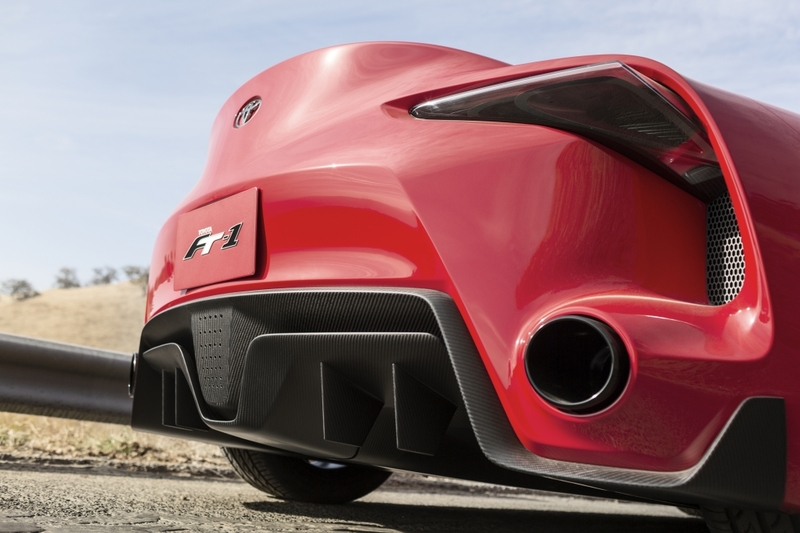 The engine in the Toyota FT-1 is in the front, but thankfully, it is a rear-wheel drive sports car (like all cars should be) but because of this configuration it means, the cockpit of the Toyota FT-1 is set further back, which helps with weight distribution and this creates classic sports car looks and dynamics. 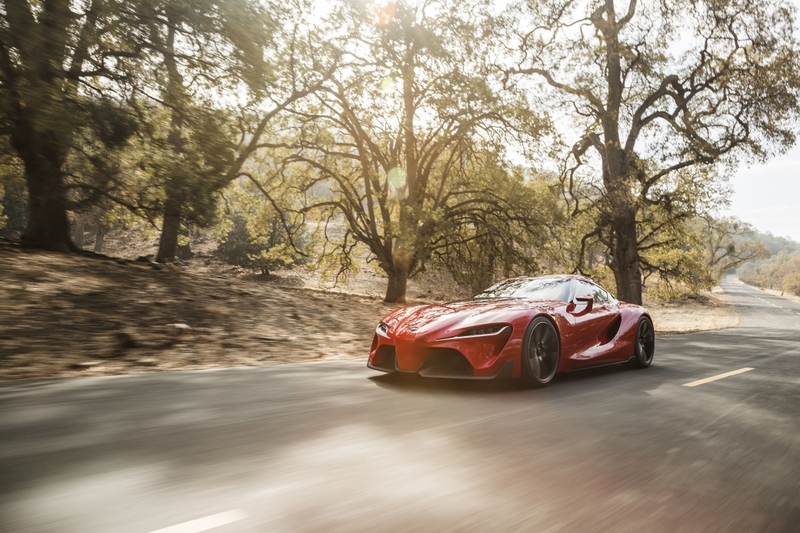 The windscreen on the Toyota FT-1 is a wraparound configuration, and I have to say it is stunning and gives it an edge and is a real credit to the Calty Design Studios for designing it. The designers have also pushed the A-pillars as far back as they can to increase visibility and we all know that cornering visibility is important and no good if you are trying to look around a corner as well as trying to see around the A-pillars. 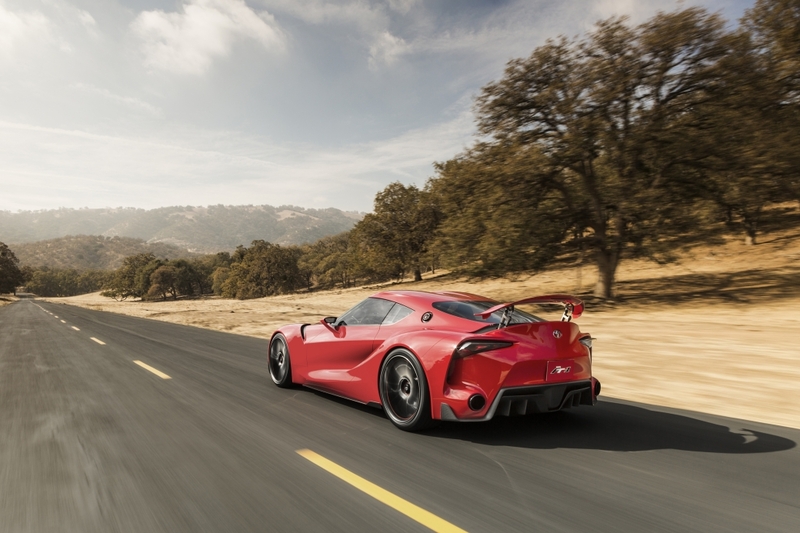 With the cabin of the Toyota FT-1 set further back it gives the car a truly low center of gravity which as all of you should know sets the car up to have sensational handling and really should give the driver a fantastic driving experience, and you should feel at the heart of the action and feel in total control. 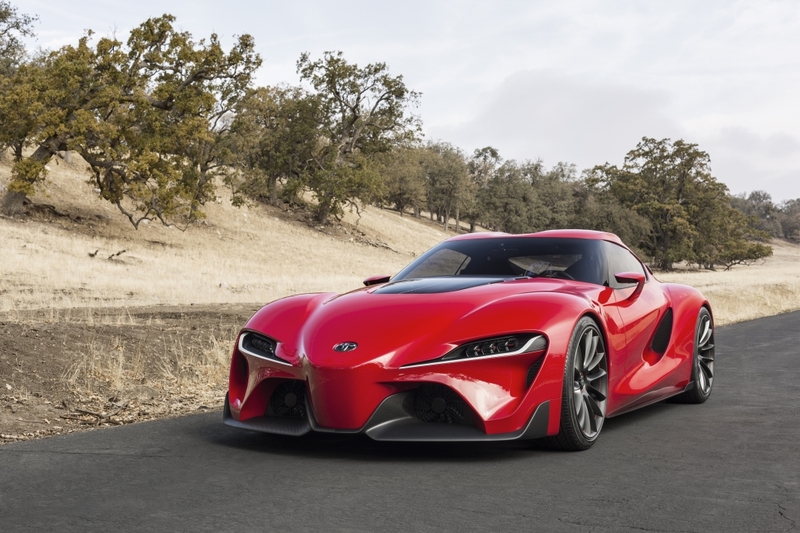 The Toyota FT-1 has a look about it, which reminds me of the BMW Z4 Coupe… Or is it because of the long bonnet, I am not too sure, but I do know I love it, and I have a good strong sense that the Toyota FT-1 will be launched, and I am itching to go and put it through its paces either on the road or around a track but even at the very least I would love to simply stand and stare at it in the flesh. 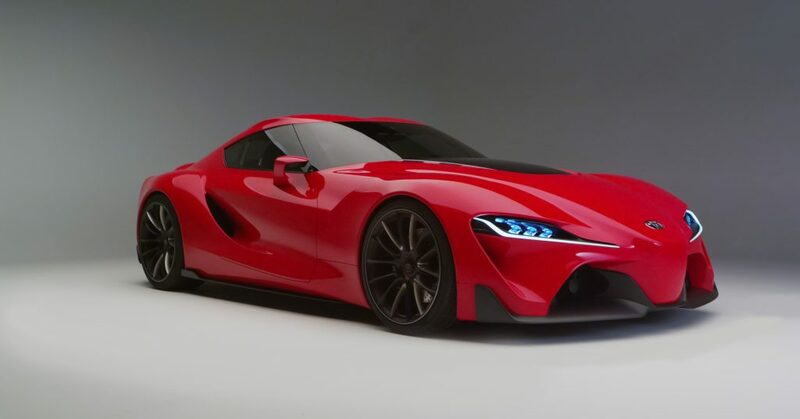 Have a look through the photos below and leave your comments below as we will be quite keen to hear from you about what you think to the Toyota FT-1.